Found many interest in JCY. So, did a quick one on its outlook. This is a simple & straight-forward counter. 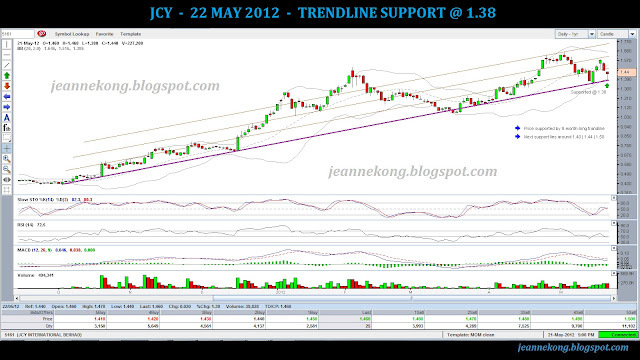 Its running along & on a trendline extending all the way back to Oct'11. I have put it in PURPLE while I added 3 more lines to form channels in which the price move within. 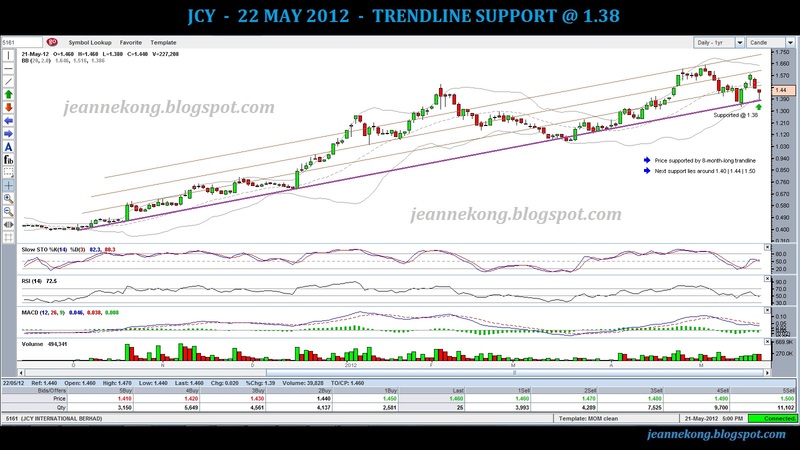 The channels are of 0.10 width each & price rebound whenever it touches the PURPLE trendline, going for the channel top. If the first channel taken, look at the price to reach the next channel top, & so on. Hence, each channel bottom or top will be the price target/stop loss level. I call this ABC profit. As easy as ABC!! ENJOY the Channeling & HAPPY HUNTING! !